Having been known for smaller economic cars, Kia has grown and succeeded in the last two decades by focusing on fuel efficiency, technology, muscle and even luxury. Despite a multitude of improvements that have met the demands of most consumers, backwoods driving has been an area that Kia has left up to the companies that traditionally build work trucks…and also cost as much as a small house. 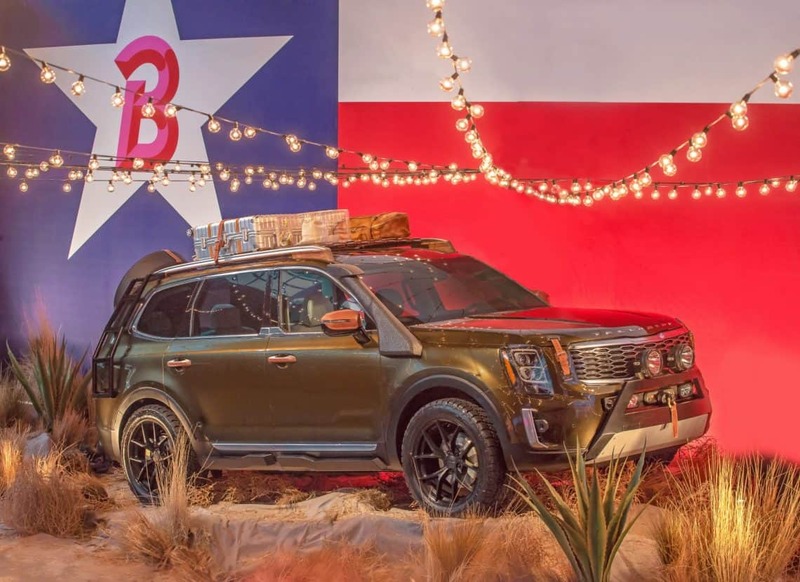 With winter approaching, you may already be considering how the demands of your daily commute will change, and we are impressed by the first mentions of the 2020 Kia Telluride revealed at Brandon Maxwell’s New York Fashion Week show on September 8th. The new features would address many winter driving problems, and then some. 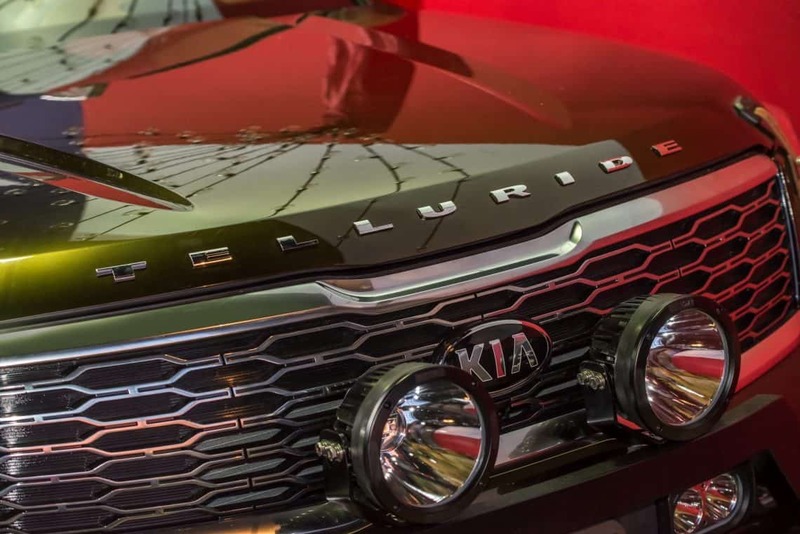 Kia understands that evolution is what keeps a company relevant, and the 2020 Telluride is Kia’s biggest car with more to offer those that need a vehicle with substance to navigate their daily terrain. Here are just a few reasons we are putting it on our Christmas wish list, and you should too. The Telluride is Kia’s largest crossover, longer and wider than the Sorento, with more interior space and a solid, sporty base. This is the kind of car parents need to keep up with life, especially in winter months when families are hauling Christmas trees and presents, casseroles, whining kiddos and everything else on those long rides to Great Aunt Edna’s house. Now you’ll have even more room to separate John and Suzie to avoid the “he’s touching me” game. One problem we run into often (when we get the rare opportunity to go out with other adults), is lack of space for carpooling. No one wants to drive because it means pulling out the car seats to make room, and every mom knows what a time consuming annoyance it is to take car seats in and out of the car. The 2020 Kia Telluride has third row seating that actually fits three adults, which brings the total passenger capacity to 8. By comparison, the Kia Sorento with third row seating only fits seven adults. With that kind of extra space, I wouldn’t mind being the designated carpool driver. Maybe it would even help me stick to that annual new year’s resolution to spend more time with friends. Kia has largely moved towards a more luxurious approach in the last few years, providing drivers with a space that will comfort them as they slide behind the wheel. The 2020 Kia Telluride will be no different. In the few released press photos, the two-tone interior is sleek and modern next to buttery-soft leather seats. Kia knows life is stressful and the daily commute only adds to it. We love that they want to give buyers a car that creates a welcoming environment as you go about your day. Just because you take your kids to school in your pajamas and curlers, doesn’t mean you don’t deserve a lux ride. Also read: Are you taking care of your car's engine fluids properly? One of our favorite things about Kia, is that they are always on the cutting edge technology and usually include a host of convenience and safety features standard, where others may only offer at a premium. Our lives revolve around the ease of access to information, and spending so much time in our cars sometimes means that we need to be connected while we are on the go. Kia has been known for their new infotainment screens, wireless charging, impeccable sounds from Harmon KardonⓇ speakers, BluetoothⓇ technology, and everything you need to stay connected to the world near and far. While specifics have not been released, yet, I am sure the 2020 Kia Telluride will not disappoint. Many of the cars I have previously owned typically have a feminine look to them. Before the Kia Sorento, they were usually small, economical cars with not much leg space, so my husband was never been a fan of driving them. 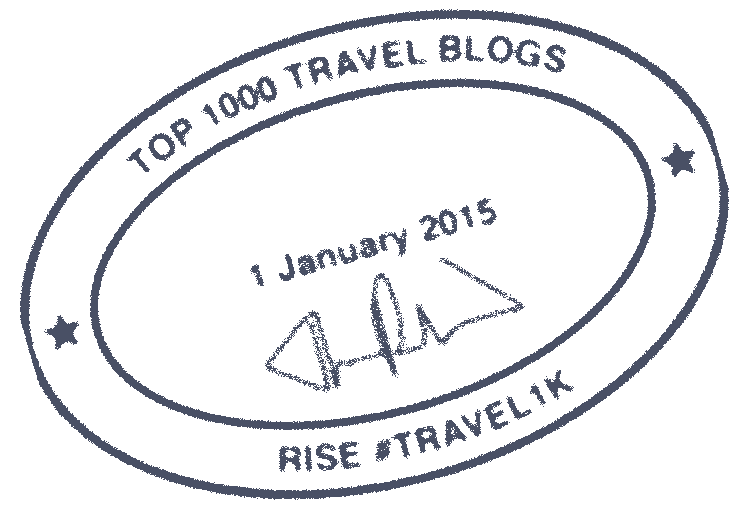 (It could also be the “Queen of Everything” bumper sticker). The Telluride has a geometric face that looks similar to a truck, with an aggressive, wide stance that pretty much guarantees he won’t mind getting behind the wheel…at least until I get a new bumper sticker to slap on the back. 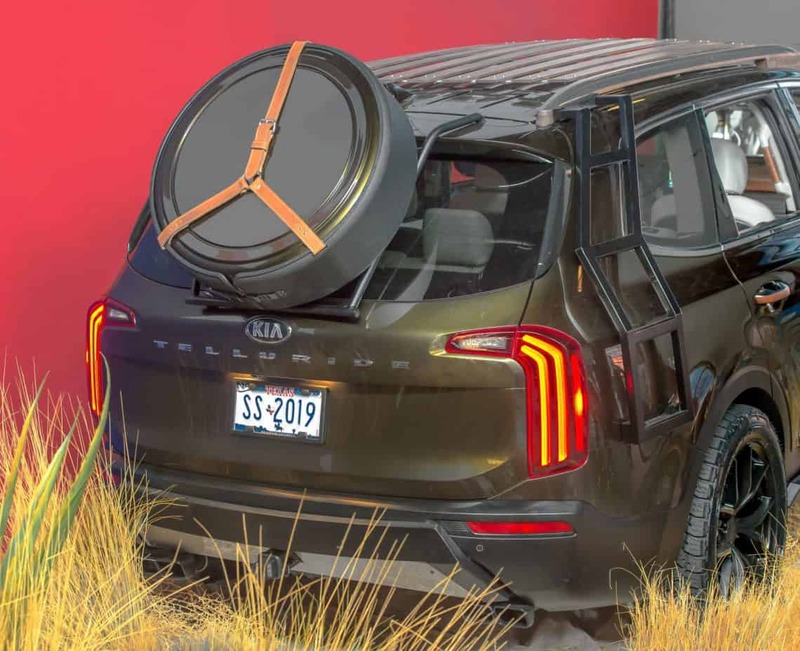 As a crossover meant to give consumers something Kia hasn’t done before, the 2020 Kia Telluride will come with some more unique options to the brand like snorkel intake, roof rack, and hatch mounted spare tire. The sporty designs mean you can haul more and drive through just about any environment…even if you don’t need to. The Telluride will come with a V6 engine giving you more get up and go (which is important to us since we’re always running late). But let’s be honest, who doesn’t love to hear the purr of the engine as you hit the accelerator? We can’t wait to get the specs on tow capacity. This could be the ultimate family summer camping/RV companion! Keep your eyes peeled for the 2020 Kia Telluride. Just another stride in Kia’s efforts to create cars that suit our lives and I have a feeling it’s just the first of brand new offerings they have up their sleeves! I am a Kia Mom. All opinions remain my own.